NOT A MOLDER PART. LASER CUT FROM FLAT 3/8 INCH THICK URETHANE FOAM. 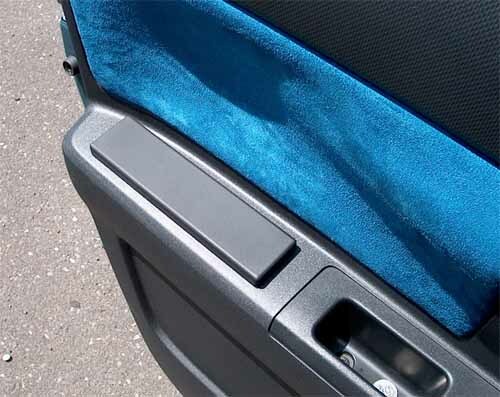 Now you can add a soft resting place for your elbow to your vehicle in no time. No modifying your interior required! 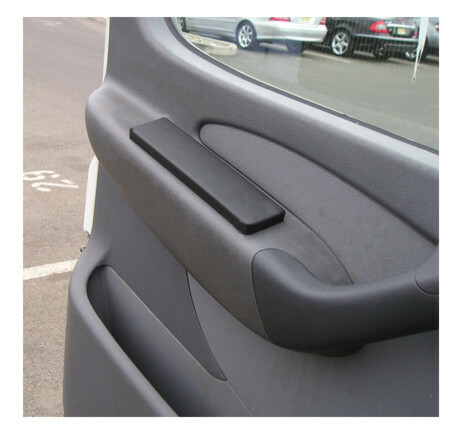 Easily install the pad onto the hard molded plastic stock door panel armrest using strong double - stick tape that is already applied to the back. No modifying your interior required! The pad is made from black urethane foam that is both durable and easy to clean. Simple installation using double-stick tape. Adds much needed softness to the hard factory door armrest. Made from high quality BLACK urethane foam. Pad measures 2" x 8" x 3/8 thick. Can be mounted on the driver or passenger door. ********* CUSTOM SHAPE/SIZE AVAILABLE. PLEASE CONTACT US.